Obituaries — Workman Funeral Homes, Inc.
Ruth Lillian Davis, 83, of Columbia, passed away on Friday, April 12, 2019. She was born in Takoma Park, Maryland daughter of the late Oscar Wunder and Lillian Isabelle Shermer Scherger. Ruth was a graduate of Montgomery Blair High School, and thereafter attended the University of Maryland, College Park for two years. After getting married in February of 1956, to the late Alton Kenneth Davis, her next 13 years were occupied with being a homemaker and mother of three children. It was after relocating to Elizabethtown that she decided to complete her education and find a career path. She enrolled in Elizbethtown College as a full-time student, all the while being a devoted full-time mother and maintaining a part-time job on campus. She graduated in 1972 with honors. Several years later, while teaching full-time, she completed her Masters in Education at Millersville State College (now Millersville University), and her story of being a 40 year old wife and mother returning to school to earn a degree with fellow students half her age was featured in the Lancaster newspaper at the time of her graduation. Ruth taught in the Donegal School District for 24 years, primarily as a kindergarten teacher at the Maytown Elementary School. She had a passion for reading both as a teacher and as her own personal pastime. She took great pleasure in travel, both domestic and in Europe, always looking for a new, interesting place to visit. She loved being a mother, grandmother and great-grandmother, and she loved losing her heart to a rascally cat or dog. Ruth was preceded in death by her longtime companion, Albert McLaughlin. She is survived by her three children: Anne-Marie (Timothy) Killian; Kevin (Deborah) Davis; and Catherine Davis. She is also survived by four grandchildren: Matthew (Shannon) Killian; Jonathan (Valerie) Killian; Brian (Kaitlyn) Davis and Caroline Davis. Three great-grandchildren: Tyler, Austin and Sawyer Killian. A Memorial Mass of Christian Burial will be celebrated at St. Peter Catholic Church, 121 South Second Street, Columbia on Friday, April 26, 2019 at 11:00 A.M. Final Commendation and Farewell will be in Fairview Cemetery, Wrightsville. Visitation will be from 10:00 A.M. to 11:00 A.M. In lieu of flowers, the family requests donations to the Columbia Public Library, 24 South Sixth St., Columbia, PA 17512. Arrangements by the Workman Funeral Homes, Inc., Columbia/Mountville. To send an online condolence, visit the condolence page. Mary J. King, 88, of Mountville, passed away on Monday, April 15, 2019 at LGH. She was the wife of Paul O. King, Jr. with whom she celebrated their 65th wedding anniversary on October 3, 2018. She was born in Lancaster, daughter of the late J. Fred and Anna Frey Shoffstall. Mary was a charter member and very active in Westminster Presbyterian Church, where she was a Deaconess. Surviving in addition to her husband, one daughter: Lynn D. (Charlie F.) Kopf, Sun City West, AZ. One son: Craig D. (Linda K.) King, Ephrata. Two grandchildren: Joy (Drew) Scally and Michelle (Colby) Vickers. Five great-grandchildren. One brother: Fred Shoffstall. Two sisters: Carol Seymour and Wanda Mowery. She was preceded in death by one sister: Ann VanAken. The Funeral Service will be held at Westminster Presbyterian Church, 2151 Oregon Pike, Lancaster on Monday, April 22, 2019 at 2:00 P.M. with Rev. Dr. John S. Light, officiating. Interment in Mountville Cemetery. Friends may call at the church from 1:00 P.M. to 2:00 P.M. Arrangements by the Workman Funeral Homes, Inc., Mountville/Columbia. To send an online condolence, visit the condolence page. Patricia Ann Hallacher, 83, of Columbia, passed away on Wednesday, April 10, 2019 at Hospice and Community Care, Mount Joy. She was the wife of the late Raymond F. Hallacher, Sr., who passed away in 2011. She was born in Lancaster, daughter of the late Walter A. and Sara S. Rittenhouse McComsey. She worked as a bus aide at the S. June Smith Center before her retirement. Pat was a member of St. John's Evangelical Lutheran Church, and a former member of Columbia #1 Fire Company. She is survived by her children: Raymond F. (Paula) Hallacher, Jr.; Dianne P. (Larry) McCauley; and Wanda J. (Tim) Fischer, all of Columbia. Seven grandchildren: Paul Hallacher (companion of Winnie), Fairfax, VA; Brett (Jennifer) Hallacher, Manheim; Raymond F. (Michelle) Hallacher, III, Marietta; Sara (Scott) Enedy, Willow Street; Nathan Fischer, Columbia; Angela (Justin) Paul, Columbia; and Tim Fischer, Columbia. Nine great-grandchildren. Two sisters: Evelyn Snyder, Mount Joy; and Susan Ortega, Carlisle. She was preceded in death by one sister: Barbara Keperling. The family would like to thank her friends at Trinity House Apartments and Hospice and Community Care for the amazing care given to Pat and her family. The Funeral Service will be held at St. John's Lutheran Church, 23 South Sixth Street, Columbia, PA 17512 on Monday, April 15, 2019 at 11:00 A.M. with Pastor Beth J. Costlow, officiating. Interment in Laurel Hill Memorial Gardens. Visitation will be held at the church from 10:00 A.M. to 11:00 A.M. In lieu of flowers, memorial contributions may be made in her memory to: St. John's Lutheran Church or Hospice and Community Care, PO Box 4125, Lancaster, PA 17604-4125. Arrangements by the Workman Funeral Homes, Inc., Columbia/Mountville. To send an online condolence, visit the condolence page. Catherine E. "Kitty" Glick, 102, of Mountville, waltzed into heaven and was caught by Ben on Monday, April 1, 2019 at St. Anne's Retirement Community. She was the wife of the late Benjamin L. Glick who passed away in 2008. She was born in Lancaster, daughter of the late Frank and Clara Ortman Ackerman. She worked as a folder at Standard Garment Co., Columbia. She was the oldest member of St. Paul's United Methodist Church. She loved her dogs, reading, her family, especially her grandchildren, great- and great-great-grandchildren. Kitty was a nurturer. She is survived by three sons: Benjamin F. Glick; Gary D. (Doris) Glick, all of Mountville; and Jay N. (fiance of Penny) Glick, Kingman, AZ. Five grandchildren. Six great-grandchildren. Two great-great-grandchildren. Four step-grandchildren and nine step-great-grandchildren. One nephew: Fred Palmer. She was preceded in death by one sister: Irene Brubaker. The Funeral Service will be held at the Workman Funeral Homes, Inc., 114 West Main Street, Mountville on Saturday, April 6, 2019 at 11:00 A.M. with Chaplain Dan Derk, officiating. Interment in Mountville Brethren Cemetery. Friends may call from 10:00 A.M. to 11:00 A.M. Please omit flowers. Memorial contributions may be made in her memory to: Hospice and Community Care, PO Box 4125, Lancaster, PA 17604-4125. To send an online condolence, visit the condolence page. Rose E. Kauffman, 82, of Stokes, NC, formerly of Lancaster, PA passed away on Friday, March 29, 2019 at home. She was the wife of the late Charles A. Kauffman, who passed away on July 7, 2017. She was born in Cambria County, PA, daughter of the late Francis A. and Della M. Judson Pierce. She was a custodian for Manheim Township Schools, Lancaster and in her earlier years was a nurse's assistant at Pitt Memorial Hospital. She enjoyed bowling, crocheting, hunting, fishing, traveling, birds, being outdoors, singing, Southern Gospel Music, cooking for her family, family gatherings, and going to yard sales. Rose was a woman of her faith. She is survived by her children: Frederick Wilson, Timothy Wilson, Wayne Wilson, Carol Briley, and Marie (Larry) Sutton, all of North Carolina. One step-son: Jeffrey A. (Cindy) Kauffman. Two step-daughters: Connie Weaver, and Charlene Burkholder. One step-daughter-in-law: Susan Kauffman, all of Lancaster County. Seven grandchildren; Six great-grandchildren; Six step-grandchildren; and Eight step-great-grandchildren. One brother: Jerry (Bonnie) Pierce, Wellsboro, PA. Two sisters: Marian Deutcher, Williamsport, PA and Pat Kirk, Texas. She was preceded in death by ten brothers and sisters. The Graveside Service and Burial will be at Indiantown Gap National Cemetery on Wednesday, April 3, 2019 at 10:30 A.M. Please omit flowers. Arrangements by the Workman Funeral Homes, Inc., Mountville/Columbia. To send an online condolence, visit the condolence page. Earl R. Musser, Jr., 72, of Columbia passed away on Saturday, March 30, 2019. He was the husband of Lynn A. Deets Musser with whom he celebrated their 37th wedding anniversary on December 5, 2018. He was born in Lancaster, son of the late Earl R., Sr. and Dorothy M. Moore Musser. He was a bricklayer for more than 30 years. Following his retirement, he worked at Columbia High School as a custodian/security guard for 15 years on the weekends. Surviving in addition to his wife, his children: Brenda M. Musser, Mary C. Musser, Christine Musser, Earl R. Musser, III, all of Columbia; Michael B. McKenney, Florida, Kelly R. Musser, and Drew M. Musser, both of Columbia. Four grandchildren and one great-grandson. One brother: John (Joann) McKenney, Florida. One sister: Georgia (George) Kennedy, Columbia. He was preceded in death by one sister: Rebecca Musser. The Memorial Service will be held at the Workman Funeral Homes, Inc., 31 South Eighth Street, Columbia on Thursday, April 4, 2019 at 11:00 A.M. with visitation from 10:00 A.M. to 11:00 A.M. Please omit flowers. Memorial contributions may be made in his memory to: Trout Unlimited, PO Box 7400, Woolly Bugger, WV 25438. To send an online condolence, visit the condolence page. Gladys M. Dinklel, 94, of Lancaster, formerly of Columbia, passed away on Saturday, March 16, 2019. She was the wife of the late Francis J. Dinkel. She was born in Silver Spring, daughter of the late William and Ethel Hesslet Shirey. She worked as an assembler at Hamilton Watch Company during WWII and worked at the Alto Movie theater in her younger years. Gladys was a member of Holy Trinity Catholic Church, where she was very active in the parish during her lifetime, including the PTO, a School Guard, a member of the Altar Rosary Society and baking fastnachts as part of the annual parish Lenten tradition. She cherished and enjoyed her family, including her children, grandchildren, and great-grandchildren. She is survived by her children: Dianne M. (William T.) Orem, Lancaster; Sandra L. (John) Zercher, Columbia; and William H. (the late Julie) Dinkel, Lancaster. Six grandchildren: Angie (Chris) Quinn; Scott Culp; J. Michael (Deb) Zercher; Christopher J. (Stephanie) Zercher; Chad (Lyndy) Marley; Benjamin Marley, and five great-grandchildren. She was preceded in death by her daughter Francine F. Marley, wife of the late Robert Marley. The Mass of Christian Burial will be celebrated at Holy Trinity Catholic Church, 409 Cherry Street, Columbia, PA 17512 on Friday, March 22, 2019 at 11:00 A.M. with Rev. Stephen P. Kelley, Celebrant. Final Commendation and Farewell at a later date in Holy Trinity Catholic Cemetery. Friends may call at the church from 10:00 A.M. to 11:00 A.M. Please omit flowers. Memorial contributions may be made in her memory to: Holy Trinity Catholic Church or Catholic Charities, 4800 Union Deposit Rd., Harrisburg, PA 17111. Arrangements by the Workman Funeral Homes, Inc., Columbia/Mountville. To send an online condolence, visit the condolence page. Kerm Rohrer, 81, of Mountville, went to be with his Savior on Saturday, March 16, 2019 at his home on the farm. He was the husband of Elaine Rohrer to whom he was married for 54 years. He was born in Mountville, son of the late Henry B. and Lillie Bucher Rohrer. He was a farmer and also worked for R.S. Hollinger and Sons for 26 years. Kerm was a member of LCBC-Manheim Campus. He was a member and served for many years with the Mountville Fire Company. He enjoyed spending time with his family, especially his grandchildren and great-grandson, and also going to the cabin with them in Lycoming County. Kerm, who had a big heart, enjoyed and loved serving people. Surviving in addition to his wife, his children: Randall L. (Kimberly L.) Rohrer, York and their children: Holly, and Alyssa and Kerm’s great-grandson: Brock; Corene R. “Cis” (Dan) Cloyd, Mountville and their son: Mark (Betsy); and Michael D. (Peggy L.) Rohrer, Washington Boro and their children: Asher, Aiden, and Cora. One brother: Myron (Roseanne) Rohrer. One sister: Doris Brubaker. The Life Celebration Service will be held at LCBC, West Wing Auditorium, 2392 Mount Joy Road, Manheim on Friday, March 22, 2019 at 1:00 P.M. with his son-in-law Pastor Dan Cloyd, officiating. Interment in Mountville Brethren Cemetery. Friends may call at Workman Funeral Homes, Inc., 114 West Main Street, Mountville on Thursday from 5:00 P.M. to 8:00 P.M. and also at the church from 10:00 A.M. to 1:00 P.M. Please omit flowers. Memorial contributions may be made in his memory to: Samaritan’s Purse, “Operation Christmas Child,” PO Box 3000, Boone, NC 28607. To send an online condolence, visit the condolence page. Jessie Rae Snavely, 89, of St. Anne's Retirement Community, formerly of Landisville, passed away on Monday, March 11, 2019 at her residence. She was the wife of the late David K. Snavely, who passed away in 1962. She was born in Dover Township, daughter of the late Norman A. and Edna Marie Spahr Gross. Jessie was a school nurse for the Hempfield School District for 30 years before her retirement in 1992. She was a member of Zion Evangelical Lutheran Church and was a graduate of Dover High School, York Hospital School of Nursing and the Millersville State Teachers College. She is survived by one daughter: Cynthia Jane (Kelly) Donahue, Johns Island, SC. Two grandchildren: Matthew D. (Katherine) Donahue, and Sara Kathleen Donahue. Two great-grandchildren: Margaret and Evelyn Donahue. One niece: Sue M. Kendig, Palmyra. One brother: Jason E. Gross, Dover. She was preceded in death by one daughter: Barbara Ann Snavely. The Funeral Service will be held in the Chapel at St. Anne's Retirement Community, 3952 Columbia Ave., Columbia, PA 17512 on Friday, March 15, 2019 at 11:00 A.M. with Chaplain Ken Giovanelli, officiating. Interment in Landisville Mennonite Cemetery. There will be no public viewing. In lieu of flowers, memorial contributions may be made in her memory to: St. Anne's Retirement Community. Arrangements by the Workman Funeral Homes, Inc., Columbia/Mountville. To send an online condolence, visit the condolence page. 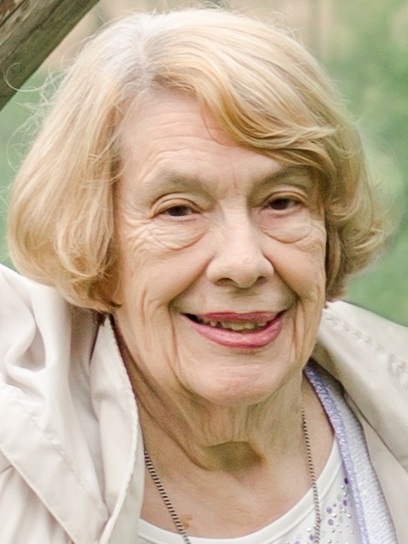 Rose M. (Moser) Haines, 79, of West Lampeter Township, passed away on Saturday, March 9, 2019. She was born on "Cabbage Hill", daughter of the late Alphonse and Dorothy Greenawalt Moser. She worked in retail sales and loved to garden, work, sleep, cats, birds, and especially being a mom. She is survived by one daughter: Sara A. Haines. Two brothers: Alphonse Moser and family, Nevada; and Robert Moser and family, California. She was preceded in death by one brother and one sister. A Private Service will be held for the family. Memorial contributions may be made in her memory to: Penn Veterinarian Student Scholarship Fund at: https://giving.apps.upenn.edu/fund?fastStart=simpleForm&program=VET&fund=342124 Arrangements by the Workman Funeral Homes, Inc., Mountville/Columbia. To send an online condolence, visit the condolence page. Jane Elizabeth Smith, 69, of Mountville, peacefully passed away on Saturday, February 23, 2019 at LGH following complications from COPD. She was born in Lancaster, daughter of the late J. Leonard and Charlotte M. Yecker Eshleman. She was an assembler at Ephrata Area Rehabilitation Services (EARS). She enjoyed playing bingo at family gatherings and drawing. She is survived by one daughter: Lisa C. wife of Fran R. Bridge, Mount Joy. One son: Eli R. husband of Sharon W. Smith, Elizabethtown. Three grandchildren: Aidan Bridge and Madison and McKenna Smith. Brothers and Sisters: Jacki Zimmerman, Punta Gorda, FL; Joe husband of Barbara Eshleman, Irving, TX; Loretta wife of Bill Mengel, Port Clinton, PA; Kevin Eshleman, companion of Susan Ellis, Manheim; and Nathan Eshleman, Elizabethtown. She was preceded in death by one brother: George Eshleman. One sister: Mary Conahan. The Funeral Service will be held at the Workman Funeral Homes, Inc., 114 West Main Street, Mountville on Saturday, March 2, 2019 at 11:00 A.M. Friends may call from 10:00 A.M. to 11:00 A.M. In lieu of flowers, please donate in her memory to: Faith Friendship Ministries, PO Box 567, Mountville, PA 17554. To send an online condolence, visit the condolence page. Brenda S. Hess, 76, of Conestoga, passed away on Thursday, February 21, 2019 at St. Anne's Retirement Community. She was the wife of the late Robert P. Hess who passed away in 2015. She was born in Creswell, daughter of the late Benjamin and Mildred R. Brady Stauffer. Brenda was a very caring person, who loved her family very much and enjoyed traveling. She is survived by one son: Brian R. Hess, Lancaster. Three step-daughters: Kimberly A. (Andrew S.) Youndt, Manheim; Karen L. (Donald) Carter, Quarryville; and Kathryn M. (Chris)Skiles, Quarryville. Two grandchildren: Lily and Gavin Hess. Seven step-grandchildren. She was preceded in death by one step-son: Lynn Hess. The Funeral Service will be held at the Workman Funeral Homes, Inc., 114 West Main Street, Mountville, on Saturday, February 23, 2019 at 2:00 P.M. with Pastor Mark J. Thiboldeaux, officiating. Interment in Creswell Cemetery. Friends may call from 1:00 P.M. to 2:00 P.M. Please omit flowers. Memorial contributions may be made in her memory to: the American Cancer Society, 314 Good Dr., Lancaster, PA 17603. To send an online condolence, visit the condolence page. Edith M. Brubaker, 100, of Lancaster, passed away on Monday, February 18, 2019 at St. Anne's Retirement Community. She was the wife of the late Paul W. Brubaker, who passed away on December 19, 1989. She was born in Manor Twp., daughter of the late Ira and Clara Miller Dombach. She worked as an administrative assistant at Hamilton Watch Company for many years before her retirement. She was the oldest member of Central Manor Church of God; was a member of Elks Lodge #134, Lancaster and enjoyed traveling to different Elks functions with her husband. Edith also enjoyed Duck Pin Bowling. She is survived by nieces and nephews. She was preceded in death by three brothers: Martin, Ira, and John Dombach. Two sisters: Elizabeth Dombach and Ruth Murry. The Funeral Service will be held at Central Manor Church of God, 387 Penn Street, Washington Boro, PA 17582 on Friday, February 22, 2019 at 10:00 A.M. with Pastor Scott Davis, officiating. Interment in Millersville Mennonite Cemetery. Friends may call at the church from 9:00 A.M. to 10:00 A.M. Please omit flowers. Memorial contributions may be made in her memory to: Central Manor Church of God. Arrangements by the Workman Funeral Homes, Inc., Mountville/Columbia. To send an online condolence, visit the condolence page. 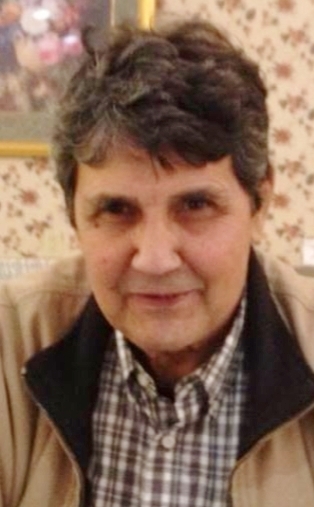 James E. "Jim" Hardin, 73, of West Hempfield Township, passed away on Thursday, February 14, 2019. He was the husband of Iris E. Schmidt Hardin with whom he celebrated their 30th wedding anniversary on August 20, 2018. He was born in Kansas City, MO, son of the late Harry and Marie McGowan Hardin. Jim worked as a computer programmer for High Steel Structures for more than 40 years. He was a veteran of the US Army, serving during the Vietnam Conflict, and was very proud of the Combat Infantry Badge that he received. He was a life member of the 22nd Infantry Regiment Society; was an avid pilot; enjoyed working on his computer; and helping everyone. Jim loved his family. Surviving in addition to his wife, his father-in-law: Hans Schmidt, Columbia. Two sisters-in-law: Monika Edwards, Lancaster; and Diane Schmidt, Memphis, TN. Three nephews: Shannon, Christian, and Trevor Edwards. One niece: Kelsey Groff. The Memorial Service will be held at Wayside Presbyterian Church, 600 Stony Battery Road, Landisville on MONDAY, FEBRUARY 25, 2019 at 10:00 A.M. with Pastor Stephen P. Fritz, officiating. Interment in Indiantown Gap National Cemetery with Full Military Honors. Visitation from 9:00 A.M. to 10:00 A.M. Please omit flowers. Memorial contributions may be made in his memory to: the 22nd Infantry Regiment Society, ATTN: Martin Oelklaus, PO Box 3258, Independence, MO 64055. Arrangements by the Workman Funeral Homes, Inc., Columbia/Mountville. To send an online condolence, visit the condolence page. Jean R. Swarr, 93, of Elizabeth Manor Healthcare and Rehabilitation Center, passed away on Saturday, February 2, 2019 at her residence. She was the wife of the late Carl L. "Wok" Swarr who passed away in 1998. She was born in Columbia, daughter of the late Frederick Young and Agnes Caswell Young Myers and the step-daughter of the late John W. Myers. She retired in 1989 from Watt & Shand after 33 years as a sales associate. She did some modeling and spent two years as fashion coordinator narrating shows throughout the county. Jean was an avid fan and collector of Frank Sinatra music and loved dancing, dogs, birds, gardening, was a great Harry Potter fan and loved keeping a beautiful home. She was a member of Columbia-Middletown Elks #1074 Ladies Auxiliary; the Humane League of the United States; and the Disabled Veterans Club. She was the last of her immediate family. Jean is survived by one daughter: Stephanie Jean wife of Roy "Sonny" Lightcap, Mount Joy. Two step-grandchildren and five step-great-grandchildren. She was preceded in death by two brothers: Robert and Carl Young. Two sisters: Grace Hershey and Verna Flanagan. Jean requested that there not be a formal service. Memorial contributions may be made in her memory to: Hospice and Community Care, PO Box 4125, Lancaster, PA 17604-4125 or the Humane League of Lancaster County, 2195 Lincoln Highway East, Lancaster, PA 17602. Arrangements by the Workman Funeral Homes, Inc., Columbia/Mountville. To send an online condolence, visit the condolence page. Claudia H. Martin, 73, of Pleasant View Retirement Community, passed away on Sunday, February 3, 2019 at her residence. She was the wife of the late Francis G. "Bud" Martin, Jr., who passed away on February 3, 2011. She was born in Johnstown, daughter of the late Claude D. and Margaret Frye Helsel. She worked as an Editorial Assistant and was a receptionist at Willow Valley Associates before her retirement. She enjoyed quilting, reading, sewing, swimming, going to the beach at Ocean City, MD, going to social events with her friends, and loved dogs. She is survived by one son: Benjamin J. Martin and one daughter: Sara E. (John Shaski) Martin, Albuquerque, NM. Four grandchildren: Marina, Karli, Brighde, Braan. Two sisters: Judy (Philip) Hoffmann, St. Charles, MO; and Lisa (Nevin) Shenck, Etters. A Time of Gathering and Fellowship will be held at Mulberry Street Art Studios, 21 N. Mulberry St., Lancaster, PA on Thursday, February 7, 2019 from 1:00 P.M. to 3:00 P.M. Please omit flowers. Memorial contributions may be made in her memory to: Water Street Ministries, 210 S. Prince St., Lancaster, PA 17603. Arrangements by the Workman Funeral Homes, Inc., Mountville/Columbia. To send an online condolence, visit the condolence page. Lewis A. Bechtold, 87, of Columbia, passed away on Wednesday, January 30, 2019 at Susquehanna Valley Nursing and Rehabilitation Center. 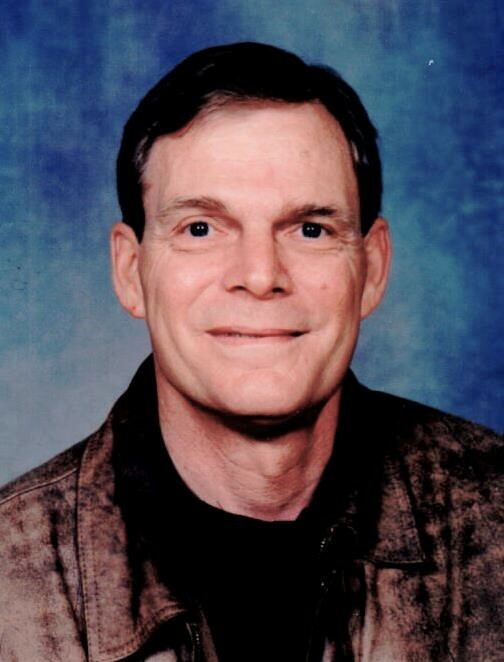 He was the husband of the late Bernice Oleana Bechtold and the loving husband of Jean E. Greenwood Bechtold, with whom he would have celebrated their 18th wedding anniversary on February 14, 2019. He was born in Lancaster, son of the late Jonas W. and Anna Frances Lehman Bechtold. Lew retired from Armstrong World Industries after 43 years. He was a member of St. Paul’s United Methodist Church, Mountville; Susquehanna Wagoneer’s Camping Club; and a Lifetime Member of Ickesburg Sportsman’s Club. Surviving in addition to his wife, two daughters: Pamela (Boyd) Karr; and Denise (Richard) Westlake. One son: Lewis D. (Brenda) Bechtold. Three step-daughters: Lucinda (Larry) Morrisson; Jody (Robert) Humbert; and Kim (Marty) Hilt. One step-son: Gregory (Christine) Greenwood. Three grandchildren. One great-grandson. Five step grandchildren. Three step-great-grandchildren. He was preceded in death by three brothers, one sister and one step-grandson. The Memorial Service will be held at the Workman Funeral Homes, Inc., 114 West Main Street, Mountville on Monday, February 4, 2019 at 11:00 A.M. with Pastor James Cavallero, officiating. Visitation will be from 10:00 A.M. to 11:00 A.M. Please omit flowers. Memorial contributions may be made in his memory to: Hospice and Community Care, PO Box 4125, Lancaster, PA 17604-4125. To send an online condolence, visit the condolence page. Eleanor L. Reuter, 76, of Elizabethtown, passed into the arms of the Lord on Tuesday, January 29, 2019 at Hospice and Community Care, Mount Joy. She was the loving wife of Gerald J. Reuter to whom she was married on December 5, 1958 in Warrenton, NC and recently celebrated their 60th wedding anniversary. She was born in Charlottesville, VA, daughter of the late Jacob Lee and Eleanor Glassco Lively. She was the mother of Cindy, Donna, Charles and Gerald. Grandmother to numerous grandchildren and great-grandchildren. She was the sister of William G. and Norma Lively. Eleanor was an active member of Lions Club International and member of the Conoy Lions Club. She served as past-President and past-District Governor of District 14-D. She was also a former member of East Petersburg and Marietta Lions Clubs. 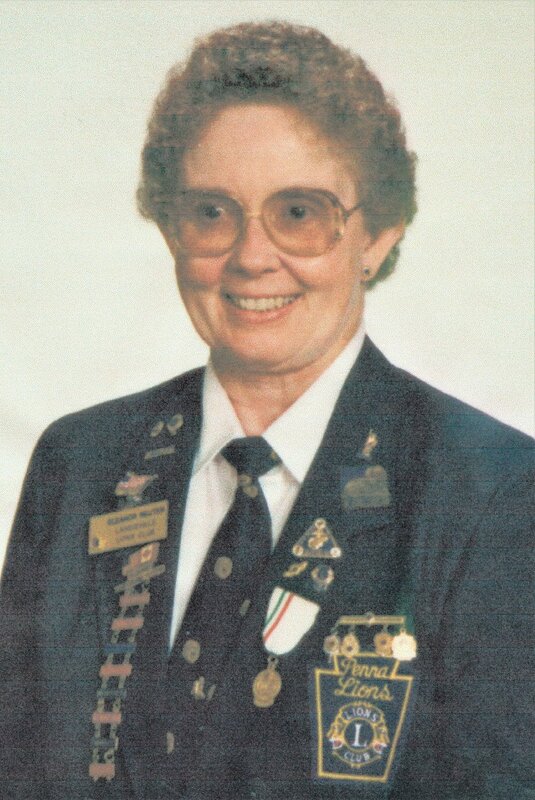 Eleanor served as a Girl Scout Leader during the 1960's and was the first female Little League Baseball Coach and Umpire, having coached Rheems and Maytown baseball teams in the late 1970's and early 1980's. The Funeral Service will be held at the Workman Funeral Homes, Inc., 31 South Eighth Street, Columbia, on Friday, February 1, 2019 at 11:00 A.M. with Rev. Irvin E. Straw, Jr., officiating. Interment in Laurel Hill Memorial Gardens. Friends may call on Thursday (TODAY) from 6:00 P.M. to 8:00 P.M. with the Lions Club Remembrance Service to follow, and also on Friday from 10:00 A.M. to 11:00 A.M. Memorial contributions, if desired, may be made in her memory to: Hospice and Community Care, PO Box 4125, Lancaster, PA 17604-4125. To send an online condolence, visit the condolence page. 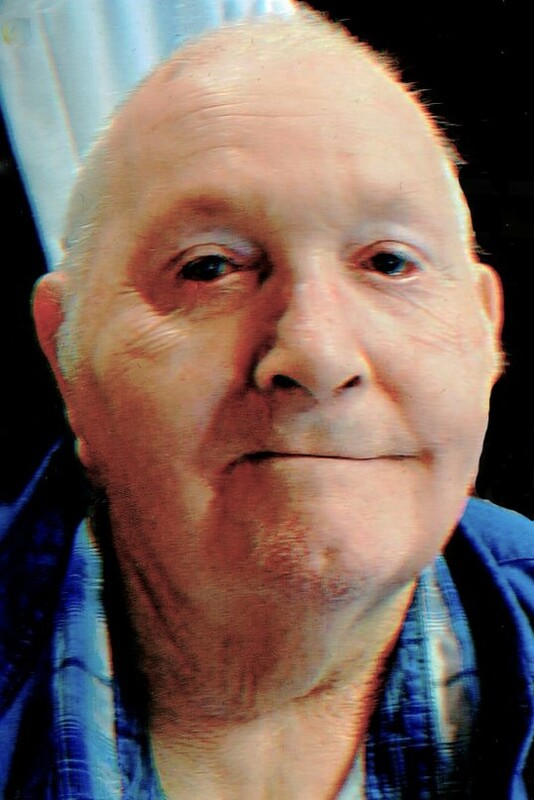 George W. Moore, Sr., 80, of Evergreen Estates, Lancaster, passed away on Tuesday, January 29, 2019 at his residence. He was the husband of Ellen W. Kautz Moore, with whom he would have celebrated their 63rd wedding anniversary on March 24, 2019. He was born in Columbia, son of the late John M. and Helen M. Hubley Moore. He was a heavy equipment operator for Pflumm Construction before his retirement. George enjoyed fishing, hunting, and his family. Surviving in addition to his wife, his children: Alice E. (Garry R.) Funk; Sally A. (Gerald L.) McMullen; George W. Moore, Jr.; and Eva J. (Jose A.) Bankus Berrios. Six grandchildren. Nine great-grandchildren. They are a six generation family. Two brothers: Charles Moore and Kenneth (Betty) Moore. Two sisters: Helen A. (Kim) Veno; and Edith Tanger. He was preceded in death by one grandson: Raymond Bankus and two brothers: Robert and Donald Moore. The Funeral Service will be held at the Workman Funeral Homes, Inc., 114 West Main Street, Mountville on Saturday, February 2, 2019 at 1:00 P.M. with Pastor Jay Frey, Jr., officiating. Friends may call from 12:00 Noon to 1:00 P.M. Please omit flowers. Memorial contributions may be made in his memory to: VFW Post #7294, 219 Walnut Hill Road, Millersville, PA 17551. To send an online condolence, visit the condolence page. Levi K. King, 71, of Mountville, passed away on Saturday, January 19, 2019 at LGH. He was the husband of Theresa R. Mitchell King, to whom he was married for 11 years. He was born in Gordonville, son of the late Levi E. and Rebecca Stoltzfus King. Levi was a painter who owned LK Painting. He was a volunteer at Blessings of Hope and took very good care of, and loved his cats. Surviving in addition to his wife, one step-daughter: Deanna R. (Travis L.) Habecker, Ephrata, and nine siblings. The Funeral Service will be held at the Workman Funeral Homes, Inc., 114 West Main Street, Mountville on Saturday, January 26, 2019 at 2:00 P.M. Interment in Mountville Cemetery. Friends may call from 1:00 P.M. to 2:00 P.M. Please omit flowers. Memorial contributions may be made in his memory to: Blessings of Hope, 48 Eagle Dr., Leola, PA 17540. To send an online condolence, visit the condolence page.